> What is Image Resolution? This month let’s take a little time to understand more about digital image resolution. There are many myths floating around, and some of you might be confused. This newsletter will help you understand more about how the Imagener enlargement engines (in Imagener and YottaPrint) affect images processed through them. Digital images such as graphics on a web page or photos from a digital camera are all made up of pixels -- “picture elements” -- tiny units of picture information. Every image on your computer is represented by a colored grid of pixels. Digital cameras records pixels, scanners convert images into pixels, photo-editing software like Imagener manipulates and adds pixels, a computer monitor displays pixels, and a printer prints pixels onto paper. Computers use pixels to measure instead of inches. Printers use inches to measure instead of pixels. This is important because what you see on the screen can be very different than what prints out on your printer. Pixels transform into inches through what is called “resolution,” -- the number of pixels per square inch on a computer. Resolution allows you to transform pixels into inches and back again. Two resolution definitions are often used in place of one another. Pixel resolution is the size (in bytes) of your image or its appearance on a computer screen. This number is tied directly to how big your image is on your hard drive. The byte-size of the image file is directly proportional to the pixel count and its size on your computer screen, which simply displays all the pixels in a fixed one-to-one grid. Embedded resolution is different. Embedded resolution tells your printer how far apart to spread the pixels in a printed image. It determines how "fine grained" the printed image will look. It is completely independent of the pixel count (file size) of the image. A high-pixel-count image can have a low embedded resolution or vice versa. Given the same pixel count, a high embedded resolution will result in a smaller printed image (the pixels are packed together more tightly), and a low embedded resolution will result in a larger image (the pixels are more spread out). For example, these two images are exactly the same size on your computer screen and they look the same, but they are very different. The image on the left has an embedded resolution of 230 dpi (dots-per-inch). The image on the right has an embedded resolution of 600 dpi. The image on the right will print out much smaller than the one on the left. You can try this for yourself with these two images. Right mouse click over each of them in turn and save them to your hard drive - somewhere where you can find them again easily. Now open a blank document in your word processor and load both images. You will see that the image on the left is much smaller. This is because (most) word processors are showing you what the printer output would be (it is a WYSIWYG or what-you-see-is-what-you-get interface) and does not “communicate” in pixels but in inches. If you want to check the embedded resolution of an image, you can do this in the Windows Explorer. Navigate to the image you want information on, right mouse click, click on Properties at the bottom, then click the summary tab. If there is an Advanced button on this next screen click it. This will show the width and the height in pixels, plus dpi resolution that is the embedded resolution that your printer sees. If you perform this on the images you just saved from this newsletter, it will show you the exact same width and height dimensions but different dpi amounts. Just remember that given the same width and height of two images, the one with more dpi will print smaller because the printer has to pack the same amount of image information into a smaller space since it is being told to fit more dots into each inch. If you have purchased Imagener Enhanced or Professional, you can upgrade easily by simply clicking Buy Now! below. Kneson Software has released YottaPrint into three versions, Enhanced, Professional and Unlimited. 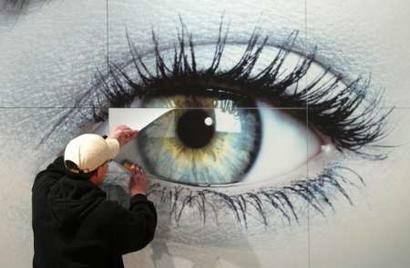 The Enhanced version allows poster printing of wall images up to 60 inches wide and 44 inches in height. This is larger than most commercial posters available, and allows you to pick a poster image that is meaningful to your life. The Professional version is the basic version needed to print a full wall mural, allowing 96 inches in height and 128 inches wide. The Unlimited version allows printing as large as you want -- even billboard size -- up to the available memory of the computer. Yottaprint extends the Imagener technology to one of its most practical applications - printing wall murals or posters from your own printer. YottaPrint allows you to print any image as big as you want and seamlessly assemble the image temporarily or permanently on wall surfaces. Images come to life because they are visible from your direct and peripheral vision - the feeling and look of the room are changed. YottaPrint can also be used for mounting motivational images -- large images that help people reach their goals by keeping goal images in front of them at all times. This has been proven to program your subconscious to take action toward goals quicker. YottaPrint can also be used in the workplace for signs and safety messages to keep employees informed and safe. Small wall flyers can sometimes be overlooked -- printing these messages out larger can have a positive benefit for both employers and employees. 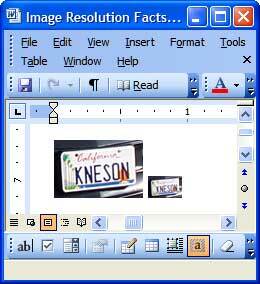 Don't forget to take a look at Kneson Software's directory of photo software. We are continually researching the highest quality photo software available on the Internet. Click here to browse now.